April 28, 2012 TeresaWho's Your Daddy? 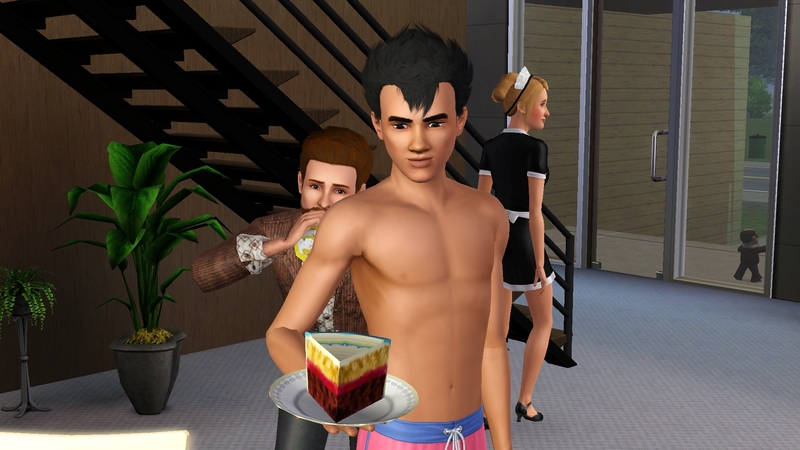 Benjamin passes Kenji as he is leaving the house. Timing there was a little close. My first elder child – Aiden gets old. Another successful day as Parker completes his training and gets a birthday party. 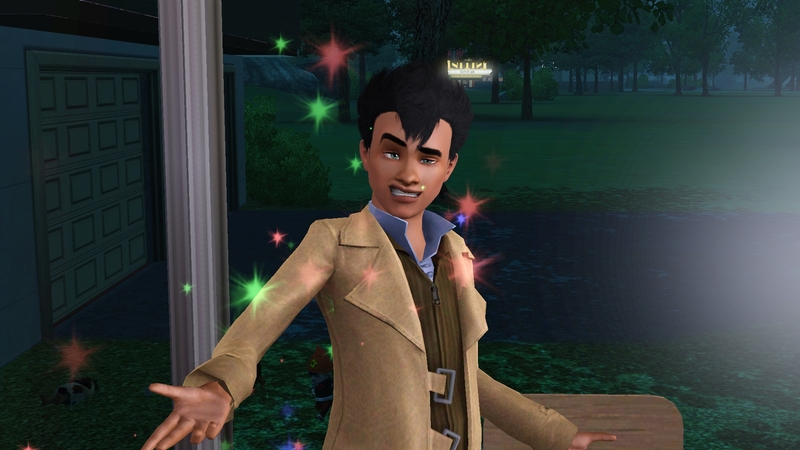 Benjamin finally masters charisma. He was supposed to be working on logic for his lifetime wish but his career required charisma so he got sidetracked. This is where he made the last relationship he needed to ding level 10. When Juliana and Benjamin were playing around in the photo booth, they did get one good set of pictures. Then Lily comes home on the honor roll. As Juliana is already pregnant, Lily is going to hang around to see if graduations are fixed. Speaking of Juliana, she confirms baby Q is in the belly. Graduation works and Lily graduates with Highest Honor and Class Valedictorian. She was also voted Most Likely to Save the World. She empties her inventory in preparation of moving out. Somwhere along the way she inherited this Most Likely to Offend Others. I think it was her inheritance from Alora as she also received more than 20 paintings at the same time. Juliana is currently the only level 5 celebrity in town. Which means Benjamin has a new mission – in addition to checking off Education and Spouse, he now needs to reach celebrity 5 as that is the only requirement she has not found a potential baby daddy. Since he is married to Juliana his celebrity is currently sitting at level 3 so he is taking every celebrity opportunity offered. Lily locked up during the Kick Out process however there are many houses in town that are empty so I went ahead and purchased a house for her which I generally don’t do. So Madelyn is the first of my teens to get an invitation to the prom. This is a little closer than I am comfortable with but I went with the game and she said yes. While they were at the prom, Will kissed her on the dance floor and they are now going steady. Parker’s dad dies the day Parker becomes a child. Juliana enjoys a rare ice cream treat. A little more free time before the baby makes an appearance. And some random gnome pictures. Olivia makes the honor roll so she gets set up to blow out her candles with Parker as her only witness, while Juliana heads to the hospital to bring “Q” into this world…. …checking on Benjamin finds him drinking the Young Again potion from his inventory. It takes until 5am to finally get R on the way, which means Benjamin has to take all the kids out for a late late supper/early breakfast, twice. It sure is a good thing today is Saturday as everyone is going to sleep all day I do believe. I enjoyed this, lots going on! Why does the Prom really take it out of them? !